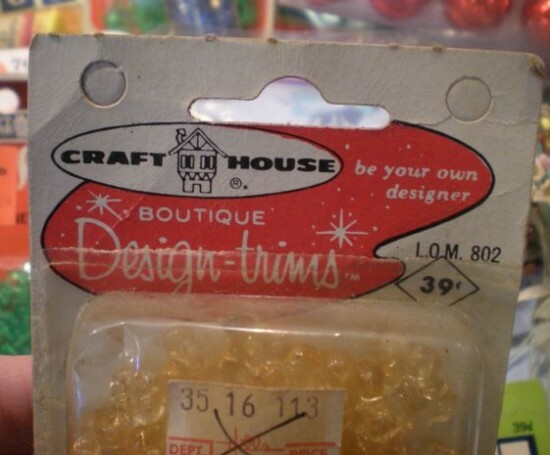 I’m always buying old craft and sewing stuff, both for my own collection/use and for my Etsy shop. I love the cool packaging that some of this craft stuff comes in. Check out these mod sequins! 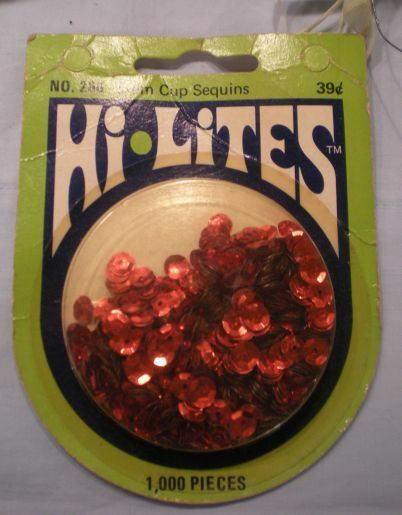 I have a bunch of these Hi-Lites sequins, I see them frequently. I think a lot of people must have liked the packaging and never opened them. This package of golden cord has a swirly font. Hills on the price tag was a regional department store in this area, think K-Mart-ish, but better, in my opinion. 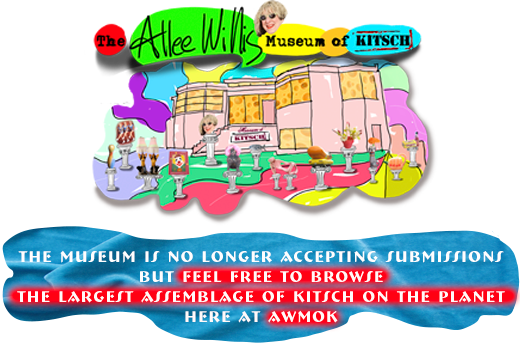 They got bought out by Ames and eventually closed completely. I miss them. 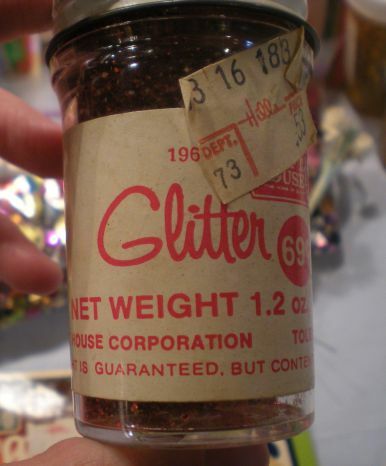 The true kitsch crafter can never have enough GLITTER! 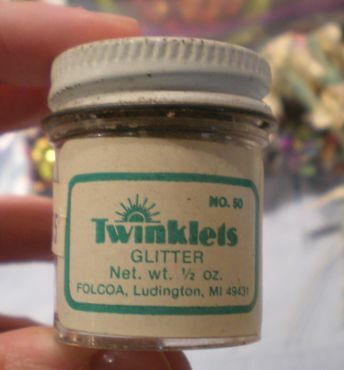 Twinklets is a great name for glitter. Made in Michigan! Design Trims~ Be your own designer! 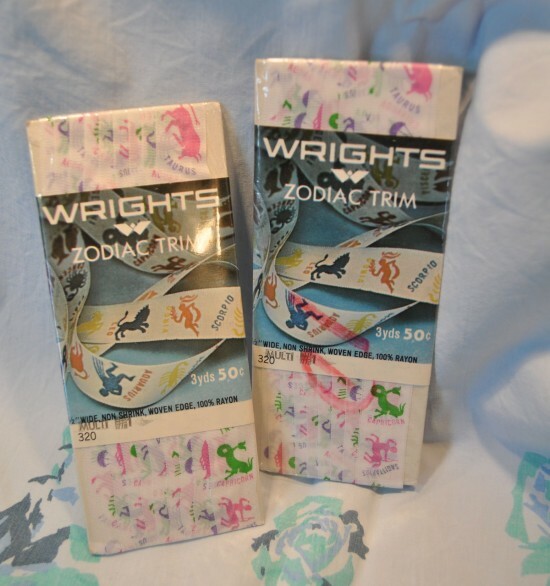 Here’s some cool hippie-tastic zodiac-print seam binding I picked up a few weeks ago. 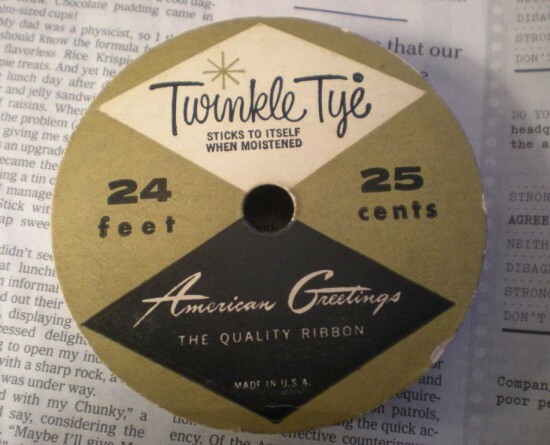 Twinkle Tye ribbon! Lick it and stick it! 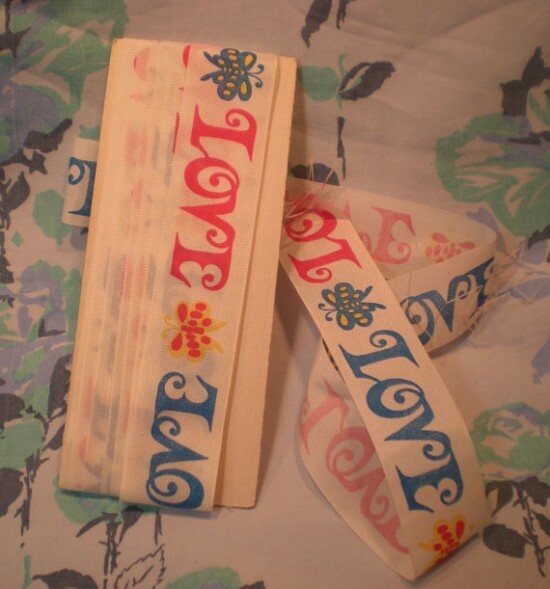 Check out this cool psychedelic “Love” grosgrain ribbon I found. Look at this! 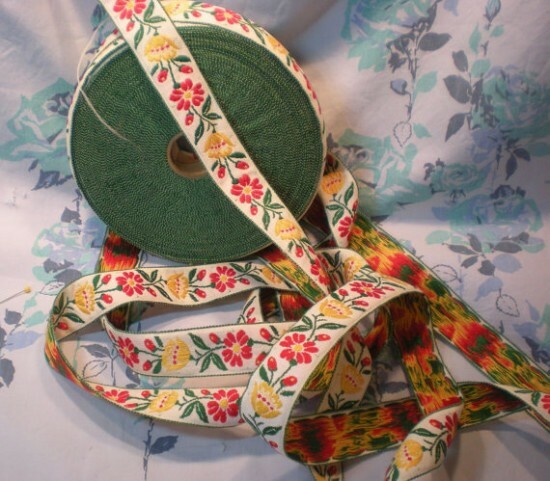 I found about 30 yards of this floral trim at a flea market! I’ll probably use some of it on a dress or a purse or some pants or something and sell the rest by the yard. It is really beautiful! The original price on the roll was 69 cents a yard! 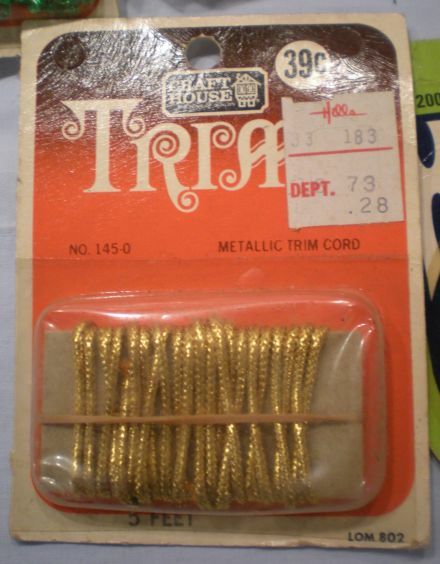 Trim like this today would probably cost you $7 or $8 a yard or even more. What a stash! I buy stuff like this all the time. The problem is I can’t stnd opening vintage packages. So I never use the stuff and it just piles up. But nothing more beautiful than vinatge craft packages. And you got some GEMS here.